personality: Tsuna is a junior-high student known in school as "No Good Tsuna" for his poor grades, wimpy attitude, bad luck, and lack of athleticism, a fact which Tsuna freely admits. Tsuna is generally depicted as comically horrified by the outrageous actions of those around him, generally causing him to become nearly hysterical. His lack of confidence and tremendous lack of luck generally contrast humorously with the positions of Leadership and external pressure Reborn puts him in. Despite his title, he seems an earnest individual with great potential; unfortunately, Reborn discovers that often the only way to force Tsuna to fulfill this potential is to put him in a life or death situation. Although told by others that he is the 10th Generation Vongola Boss, Tsuna is generally unwilling to take part in anything that has to do with the Mafia. He always denies the fact that he is a Future Mafia Boss and tries to avoid anyone and anything involved with the Mafia, clinging to any element of an ordinary life he can. Later, though he dislikes the violent history inherent in the Mafia, stating that he would rather destroy the Vongola family then accept such a heritage, he is grateful for the friends he has made since meeting Reborn. He cares a lot for his new Family and puts himself in the way of danger and even death in order to protect them. Tsuna's personality has developed greatly since, where he was a cowardly, useless individual who easily gave up, to an individual of great resolve to protect the companions he has made, doing whatever must be done. Later he is depicted as comfortable with leadership, as the others in his Family look to him for decisions he dispenses without hesitation. There have been many parallels between Tsuna and Founder of the Vongola Family, Giotto, including physical appearance, Fighting Techniques, and Weapons used. Both of their personalities are likely to be very similar as it has been shown that they have similar goals and ways of standards. For example, neither had problems with appointing Guardians from outside the Family. Rp sample: Upon arrival to the Academy Tsuna as he is commonly know talked in a phone reborn why did you send me to this school out of all places? hoi reborn don`t... beeb beeb beeb the young boy started to rub his head in distress as he had no idea what he was supposed to do here, why was he sent here in the first place he knew nothing, and even less about the thing`s that had happened there, he entered the school yard and glanced at the school well at least it looked normal... to an extent, it was fairly quiet too he just hoped that it would stay that way, now that he thought about it he saw no living soul in sight... but he felt there where people around, where they hiding from him? ohh this is bad reborn why did you have to send me to this place its a total mad house, he sighed again while thinking about it. Tsunayoshi Sawada (沢田 綱吉, Sawada Tsunayoshi? ), commonly nicknamed "Tsuna" (ツナ? ), is a fictional character in the anime and manga series Reborn! created by Akira Amano. In the story, Tsuna is one of the long lines of descendants from the Vongola family, a mafia that exists in Italy. He is the one who is to be the next leader of the Vongola, the tenth Vongola boss. To set him up to that position , hitman Reborn becomes his home tutor and starts training him to be a suitable boss. With Reborn's help, Tsuna starts confronting his fears and befriends with several people, with some of them becoming his guardians in the Vongola Family. However, due to Tsuna's high position in the Mafia, various other families start working to kill Tsuna which forces Tsuna and his friends to defend against their enemies. Besides the manga and the anime, Tsuna has also been featured in all of the video games from the series, light novels, and a CD soundtrack. Tsuna's character has been very popular within readers from the manga; he appeared several time in the top 5 from the popularity polls developed for the series and has taken first place a few times. He has also been featured in merchandise from the series such as figurines and plush. 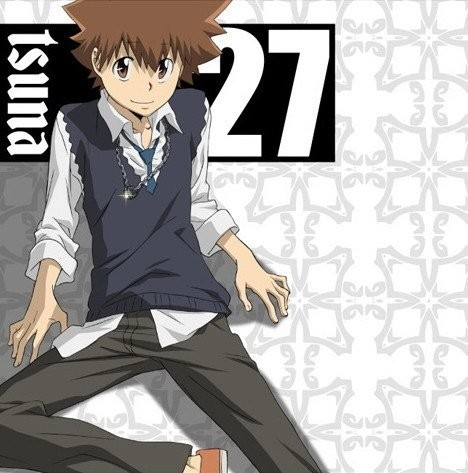 Publications for manga, anime and other media have commented on Tsuna's character, adding praise and criticism. Although Tsuna's story was initially considered very simple, writers from various websites have liked Tsuna's traits as well as his growth along the manga. Tsuna is a junior-high student who becomes the Vongola Family's mafia boss-in-training. The reason Tsuna was recruited is because he is the great-great-great grandson of the first Vongola boss; only ones with the Vongola bloodline are able to become it's boss. Also, the other candidates in line for the position of the head of the Vongola Family had died. Before Reborn finds Tsuna, Tsuna is known as "No Good Tsuna" (ダメツナ?) for his poor grades, bad luck, and lack of athleticism. He is normally insecure, considering himself a loser. He has a crush on a girl from his school, Kyoko Sasagawa, seeing her as the only reason to go to school. When Reborn shoots him with the Vongola Family's Dying Will Bullet he comes back as a powerful boxer wielding berserker. However, Tsuna's friends tend to remain amazed by Tsuna's actions in such mode, causing several people to be interested in his skills. He also manages to befriend with Kyoko, which makes him very happy. Tsuna finds himself thrust into the mob life that is his future and begins to meet not only his friends and future family members but also the challenges that his new life holds. Although Tsuna is the tenth generation Vongola boss, Tsuna is unwilling to take part in anything that has to do with the Mafia. He always denies the fact that he is a future Mafia boss and tries to avoid anyone involved with the Mafia. In the Vongola Test, he states that he would rather destroy the Vongola family than accept its history of violence and cruelty. Tsuna is often surprised and horrified at Reborn's and other mafiosi's actions. Later, even though he still wants nothing to do with the Mafia, he is grateful for the friends he has made since meeting Reborn. He cares for his new 'family' and would put himself in the way of danger in order to protect them. Tsuna in Hyper Dying Will Mode wearing his V.R. X-Gloves.When Tsuna is shot with either the Dying Will Bullet (死ぬ気弾,, shinu ki dan,?, "Deathperation Shot" in the Viz Media manga) or the Rebuke Shot (小言弾,, Kogoto Dan,?, "Criticism Shot" in the Viz Media manga), or he eats a pill composed with the same material from the latter, his body limits are removed causing dying will flames to flow out freely. The Dying Will Bullet increases his powers to make a task that wanted regrets when he is shot. In the series, Tsuna also uses variations of the Dying Will Bullet that allows him to create any object or to force his strength into any part of his body. When shot by the Rebuke Bullet or eating the pill, Tsuna's body limiters are removed, allowing him to take control of his body with the Dying Will Bullet effect. This is known as "Hyper Dying Will Mode". In Hyper Dying Will Mode he also uses the X-Gloves (エクスグローブ, ekusu guroobu? ), which were created by Reborn's pet, Leon. It is made out of the same material as the Dying Will Bullets and can ignite Dying Will Flames, giving Tsuna the ability to use them as thrusters to fly. Because Tsuna is part of the Vongola bloodline, he has the ability called "Hyper Intuition" granting him greater insight than most. After passing the Vongola test, the gloves are changed to X-Gloves Version Vongola Ring which can also produce a new type of explosive flame. As Tsuna is unable to control the new flame he creates a new attack called "X Burner (エクス バーナー?)" to manipulate it. It utilizes the two different flames created by his V.R. X-Gloves, but Tsuna has problems to control it until Spanner gives him special contact lens to calculate the fire amount. During the fight between the Vongola and the Varia, Tsuna learns the Zero Point Breakthrough (零地点突破, zero chiten toppa? ), a technique originally used by the 1st Vongola Boss. With this technique Tsuna can extinguish and freeze objects and flames of others. Tsuna also creates his own version of the Breakthrough called "Zero Point Breakthrough Custom" (零地点突破, zero chiten toppa kai? ), which allows him to capture Dying Will Flame attacks and convert the energy to his own. In his fight against the Millefiore, Tsuna obtains the Vongola Sky Box which contains the Box Animal, Sky Lion Version Vongola, a miniature lion nicknamed "Natsu" (ナツ?). Natsu is able to petrify flames by harmonizing with them and is able to transform into weapons belonging to the first Vongola boss. Following several months of training with Reborn, Tsuna becomes the target of the Kokuyo gang's criminal agenda to destroy the Vongola. The leader Mukuro Rokudo lures Tsuna out into the open by attacking his friends and colleagues until Tsuna, by request of the 9th boss, defeats them. Tsuna succeeds in defeating Mukuro, using his newly acquired X Gloves. Some time later, Tsuna receives the Vongola Ring halves from Dino. and after receiving the "Ring of the Sky", Tsuna undergoes training yet again with Reborn for his oncoming battle against the Varia, who intend on making their boss, Xanxus, the next Vongola boss; Ultimately, Tsuna must battle Xanxus for the right to hold the Ring of the Sky. On the day of the battle, Tsuna's family take a 4-3 lead, but then Xanxus accuses Tsuna for the "assassination" of the 9th boss; all the while, the 9th boss is alive but concealed within an opponent from Tsuna. Eventually Tsuna and Xanxus engage in their Sky Battle. Tsuna eventually overpowers Xanxus, but Xanxus still manages to obtain all seven Vongola rings. However, Xanxus is rejected, not being of Vongola blood; so the victory is awarded to Tsuna. Days after the battle with the Varia, Tsuna and Reborn are inexplicably transported 10 years into the future, where the Tsuna of that time is in a catatonic state and that the Vongola family is at war with the Millefiore Family. After reuniting the six Vongola guardians, Tsuna attacks the Millefiore base along with Lal Mirch, Ryohei, Yamamoto and Gokudera. When Tsuna's group is discovered, Tsuna covers as a decoy and fights the Milliefiore member Spanner. Tsuna falls unconscious during the fight and is taken captive by Spanner who helps him perfect his X Burner technique. Spanner develops special contacts lenses which assists Tsuna with stabilizing the X Burner and uses it to the defeat the remaining soldiers from the Milliefiore member Irie Shoichi. However, Irie reveals to be a spy allied with Tsuna's future self to help the Vongola defeat the Milliefiore leader Byakuran. Therefore, Tsuna and his friends train to confront Byakuran and his Six Funeral Wreaths guardians. On the day of the battle, Tsuna is chosen to be one of the first combatants in the first game of "Choice", which they lose. Just then, Uni, an acquaintance of Reborn, appears, and Tsuna is tasked with protecting her from Byakuran until he goes to confront him. Once defeating Byakuran, Tsuna and his friends are sent back to their own time by Irie. In the new "Inheritance Story Arc", Tsuna makes friends with transfer students who turn out to be members of the Shimon Family, a small Mafia clan. Later, they attack him and his guardians as revenge for Vongola Primo apparently betraying their family's founder. The rings are destroyed but repaired. An old man uses the Vongola Primo's blood, Penalty, to give the rings an upgrade with only a 50-50 chance it'll work. Besides his appearance in the original manga series and its anime adaptation, Tsuna has also starred in other Reborn! works. He is featured in all of the Hidden Bullet light novels by Amano and Hideaki Koyasu, but with a minor role, as they are focused in other characters from the series. He additionally Tsuna in all of the series' video games, in which he is playable in his Dying Will Mode and Hyper. He is also a playable character in Jump Ultimate Stars where he is paired with Reborn. On January 8, 2008 Pony Canyon released a Character CD featuring both Tsuna and Reborn. It features various tracks and dialogue composed by both of their voice actors: Yukari Kokubun and Neeko. Tsuna was well received within the Reborn! reader base, having ranked as the most popular hero in the second official Weekly Shonen Jump poll of the series, which was divided into heroes and villains. In other polls of the series, Tsuna ranked as the most popular male character, as well as the latest one in which fans selected the characters they would want to see in their future's self appearance. The Japanese music distributor Recochoku has made two annual survey of which anime characters that people would like to marry. Tsuna ranked sixth in the category "The Character I Want to Be My Groom" from the 2008 survey and seventh in the 2009 poll. Various pieces of merchandise have been released based on Tsuna's appearance. These include apparells such as his X-Gloves and t-shirts. Other merchandise also are action-figures, key-chains and watches. Several websites from manga, anime and other media have commented on Tsuna's character. 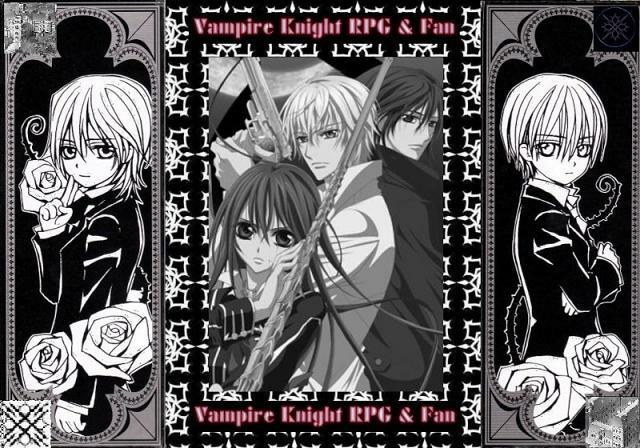 In mangalife.com's review of volume nine, the reviewers expressed gratification to the main character's [Tsuna] reform, with David Rasmussen of mangalife.com now seeing Tsuna as a "cooler" character compared to how he was before. Erin F. from popcultureshock.com noted Tsuna to be to be a very popular character within female readers of the series due to his appearance and praised how entertaining are his comedy scenes. Carlos Santos from Anime News Network commented that Tsuna needs to do more important things in the first volume from the manga to make the series more interesting, such as relating more with the Mafia. However, he noted the "volatile chemistry" between Tsuna and Reborn to be very likely. Charles Tan from Comicsvillage.com noted the story of his character to be "simple" but liked how Tsuna is an "inept, bumbling kid" as well as he agreed with Santos that his relation with Reborn is very good. Jarred Pine from Mania Entertainment found Tsuna's appearances in the start of the manga to be very common due to how he starts meeting new friends, rivals and gains confidence. He noted Tsuna's first skills caused by the Dying Will Bullet to be an attempt from Akira Amano to add new things to the story, but added that "it almost cheapens the experience." However, Ben Leary from the same site also found the Dying Will Bullets to be very repetitive, but added that "watching it happen is such a blast you still look forward to it even when you see it coming." 2. Redo..I allow cannons that are from other anime but this is a totall copy and paste from wikipedia. Smart for you to do this cause there are admins that do not read long things. 2. wrote it in your own words, I know the writing style's of wikipedia and I haven't met a lot of people who actually wrote that way. 3. things like "Inheritance story arc", series, manga, "as it has been shown"
OH and you can't be a 14 year old faculty, on top of that guardians have already been picked and I would've said okay for you to be a guardian since the other guardian is gone but now...nope. No where do I see where this guy is linked to the Scarlet Clan. I was just under the impression that he had to know atleast one of them since Aaron apparently knows of him. That' all tha confuses me. The mafia thing can be used I guess..I mean other than vampires and shiz its still the real world such a thing does exist. Yeah I kow what you mean but as staff its a little insulting. And I can't stop laughing. This is approvable if you just do what I asked. No worries Aaron. If you need help then just let me know man.